​Every year around the world, the nations are making merry and happy, buying and bringing gifts of every sort. And as Israelites, we do not keep or acknowledge Christmas and so it will be important to remember our children will be learning and watching all that is going on. There will be many teachable moments. If you are just coming into the knowledge of your history and way of life; if you have children this is something new and may be a bit difficult and feels strange to them. It may even feel strange to you at first and that makes a whole lot of sense. Reason being, its all we have ever known since a very long time ago, even way before the first slaves set foot on the shores of North America. It is multi-generational, bringing us up to the present time. A new teaching video has been added to the Hebrew Israelite Homeschool site. "Israelites: History of Christmas" produced by IUIC, takes us all the way back over the ages when our people ruled the world and when Christmas was first celebrated by the nations. Regardless of what camp you are part of, this lesson is a must for all Hebrew Israelites. Hebrew Israelite Homeschool posts teaching video classes from pretty much all the different camps, as we can all take something away from them and learn from each other. Watch this class, share it and discuss it with other Hebrew Israelites. Most of all teach these important concepts to the future generations to come. Hebrew Israelite Homeschool: What's New? I would like to let you all know what's up and coming for Hebrew Israelite Homeschool. I am working my way through information requests as speedily as possible so that you can get going on your homeschooling journey. I've decided to go ahead and write a short ebook that you will be able to access free: Hebrew Israelite Homeschooling, Why It's Important, Getting Started. That way, I can explain the process a bit more in detail, which can be a bit overwhelming in the beginning. We are on a month-long school break at my house so I've been spending some time each day getting the ebook written. If you have any questions regarding homeschooling, feel free to contact me. ​Are you ready to begin homeschooling? 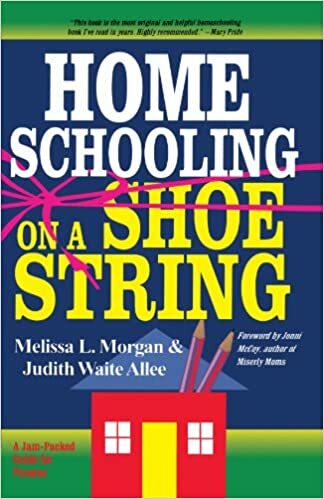 See: "Getting Started With Homeschooling." I usually refrain from discussing politics so much on the Hebrew Israelite Homeschool website, primarily because education as it stands in the United States is undoubtedly politics enough. However, with the coming new administration it is essential to contemplate how we might be affected by it so we can plan for the future. We want to be assured that our homeschooling and parenting freedoms are “protected” and so it is necessary to stay vigilant about what is going on. The way we do this is to by all means stay informed. Most importantly for us, religious freedom will be an area to stay abreast about. GOP-appointed judges are not dependable when it comes down to doing the right things when it comes to the rights of parents and religious freedoms. However, they are adept at constitutional law. Apparently, the things they tend to rule on affects all of us at the state level in ways that can be catastrophic. “There is some very early talk about an effort to actually close the United States Department of Education. That would be a wonderful miracle. It is fair to expect Trump’s team to take away any federal program that will promote the Common Core. This does not mean that states will automatically stop this program. But the federal financial incentives to do so should be halted. I recently wrote an article, published in the Hebrew Israelite Nation Times High Holy Days Issue (2016) discussing the Common Core issue at length. This is something we should be concerned about even if you homeschool. Most things dealing with U.S. Public Education does not affect homeschoolers, but the Common Core has the potential to do so. Black children, especially are being negatively affected by federal education policy. Its been this way for a very long time now. The more freedoms we have in this area I think, all the better for us. ​There were other important issues discussed including abortion rights and Planned Parenthood, Trump’s moral character and Mike Pence’s likely influence. Read Reflections on the Election.